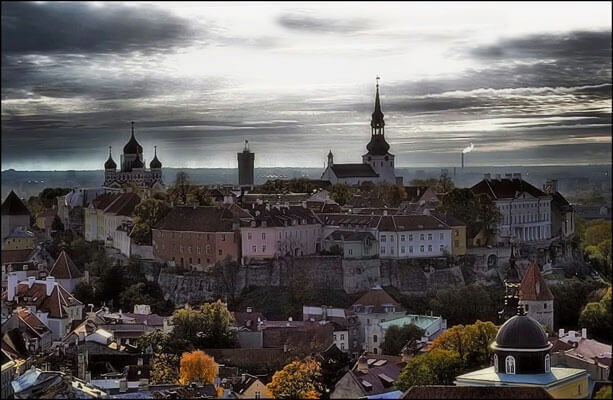 Tallinn is a majestic place to visit in the northern part of Europe. The part which made our fairly small town the real highlight of the Baltic Sea is – the Old Town of Tallinn. Surrounded with the stone wall left from the Middle Ages, Tallinn’s Old Town is officially recognized as “The best preserved medieval town in the north of Europe” and protected by UNESCO since 1997. Old Town Tallinn consists of two parts – Lower Town and Upper Town. Nowadays there is no difference between them, but if you’d come even 100 years ago you would see two totally different towns, named – Reval and Domberg. Both of these names are of a German origin, for the reason that Baltic German merchants and noblemen were in power here for 7 centuries, 1219-1919.